Perhaps the reason is because a small child, I always prefer the small size of the items, choose the rover is certainly no exception. My work place close to home, every day, drove completely unnecessary, does not burn oil rover will be my travel assistant. In each brand flagship stores are in a circle, will evaluate all colors looked again, and finally decided to buy Airwheel, do not plan anything else, Fig cost-effective. 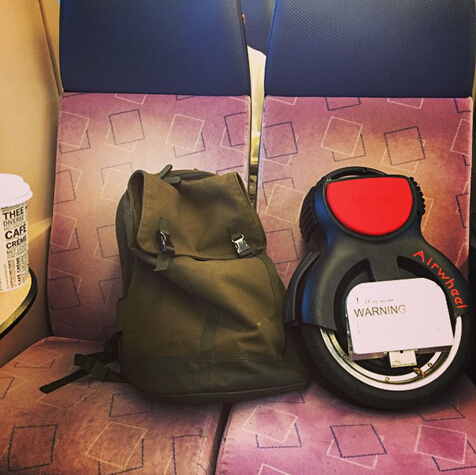 The last city to start Airwheel Q1 electric unicycle , small wheel size, vehicle adorable, very consistent with my style. Finally, pay tribute to Airwheel Q1 self-balance unicycle imported batteries at the park playing more than one hour, the battery there are three grid electricity. Although it is a new car, which is resistant to the consumption of batteries is also too much. Small Airwheel Q1, whether in terms of quality, or function, is definitely a strong strength! In my practice schedule this estimate not a week, you can ride to go to work, think about the fun!